As a working Mom of a large family there are a few things I do to keep my sanity. Often people ask how I do it all and honestly, I don’t know. I just do it. I usually reply with, “I don’t know,” or “I do what I can when I can.” I don’t claim to be supermom or anything like that. I just do the best I can with the time, tools, & talents and Lord has blessed me with. Could I be better? Of course! I try to improve all of the time and seem to find tricks here and there to help me out along the way. So, on with the confessions of a working Mom. 1. 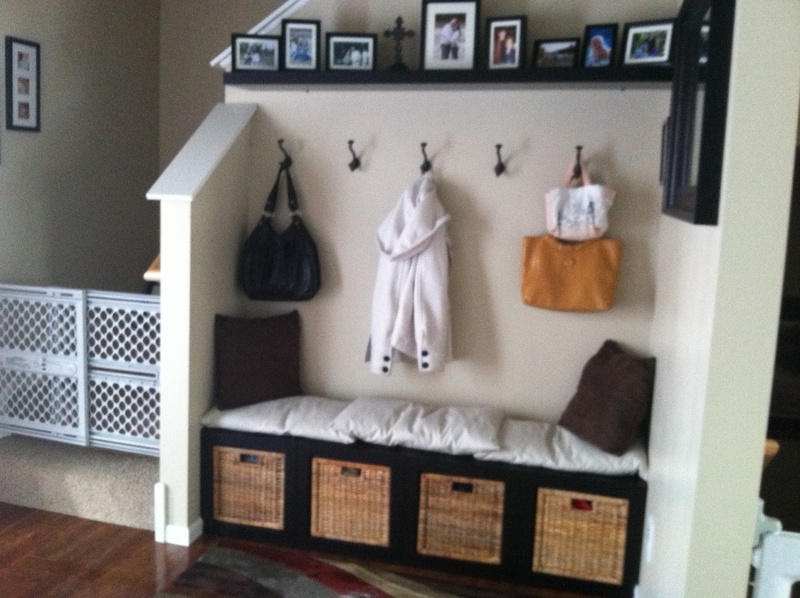 Locker System: This keeps everyone’s stuff’ in one spot. Assuming they each put their items away that is. 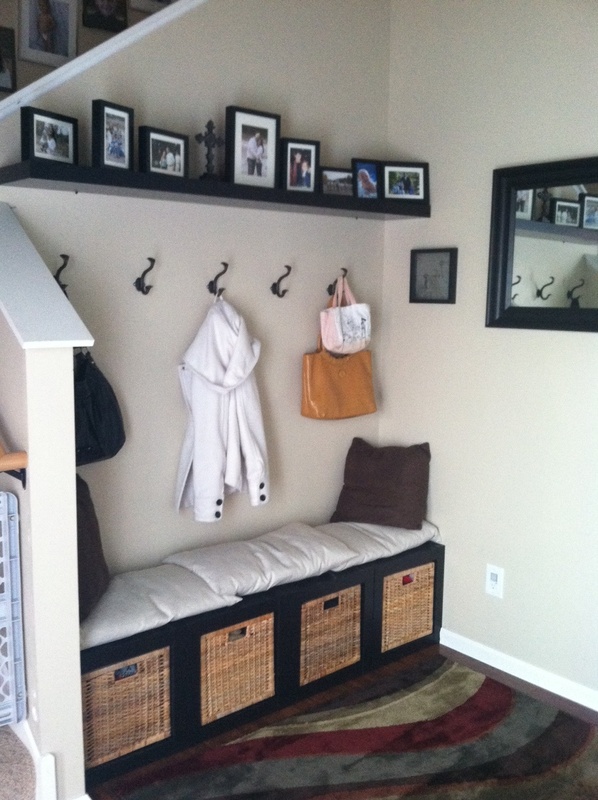 Each child has their own locker with 1 shelf, 4 hooks, a drawer and a spot for their shoes. We keep their Bibles, lunch boxes, helmets, & diaper bags on the shelf. 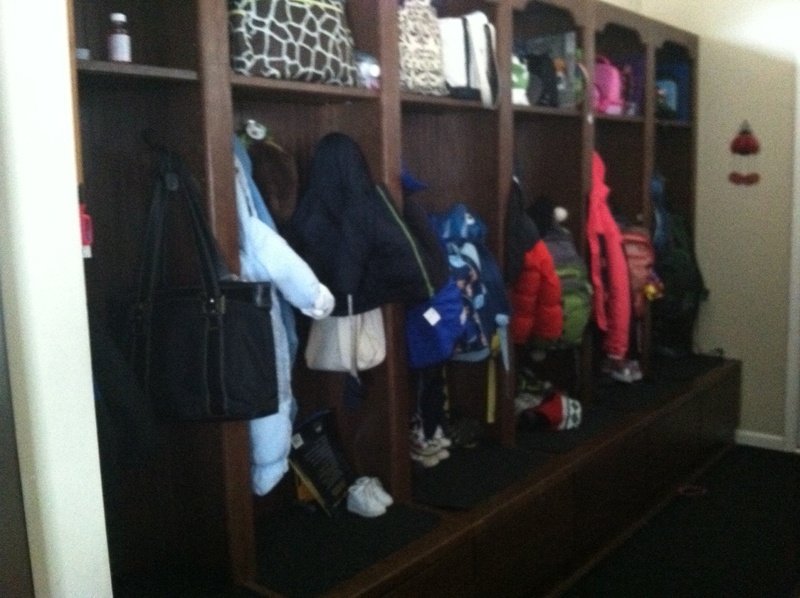 They hang backpacks, coats, etc. on the hooks. Their shoes, boots, and flip-flops on the ledge and their drawers are filled with hats, mittens, scarves, etc. We cut an outdoor rug to go on the ledge to keep the wet shoes and boots from ruining the wood. We also put a long roll of that same outdoor carpet in front of the drawers so they can walk into the house without making a big mess on the floors. 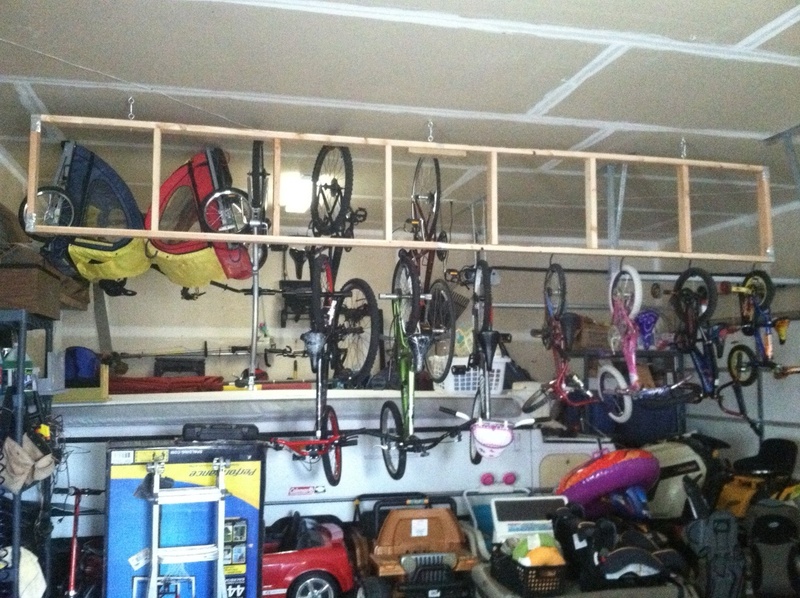 I’ll admit it took some training to get the kids to each put their stuff away but now they’ve got it. 2. Morning Message & Chore Chart: At school the kids get a morning message every day and they seemed to get accustomed to knowing the date, day of the week, and what’s for dinner type of things so upon their request I added this to the dry erase board which already included a chore chart. Every night I look at what the next day has in store and include that in the morning message so when the kids are going off to the bus they can see what to expect. (It also helps me to remember what is coming up as well). The chore chart came about after deciding making copies of a chore chart was wasting paper. The kids liked how visible the chore chart was as well as the ability to keep tabs on how well they were doing for the week. 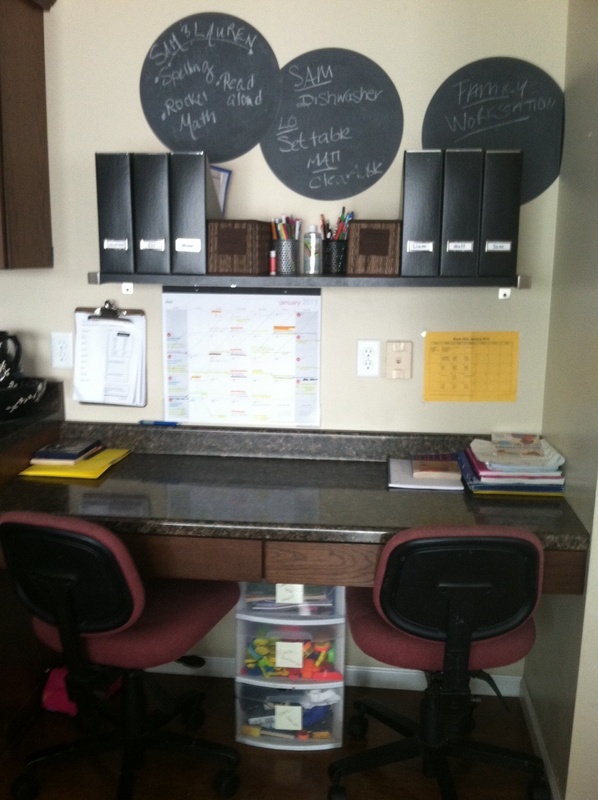 All it takes is a large dry erase board and some electrical tape and you can make one really easily. 3. 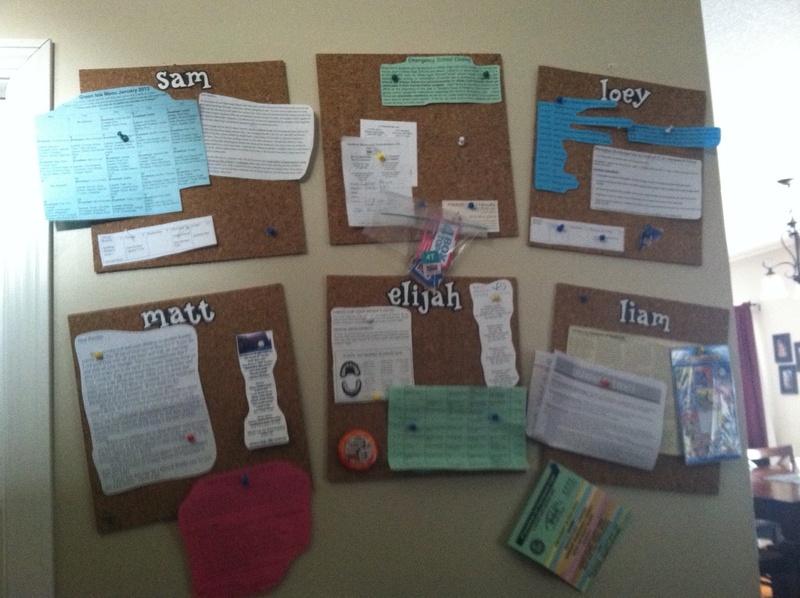 Cork Boards: Every child seems to have their own calendar of events, newsletters from school, & appointment cards. In order to keep it straight who has what and when I picked up these cork boards from Hobby Lobby so each child could have their own board. The younger kids boards are filled with well baby check ups, notes about when their teeth come in or where they should be developmentally based on their age. 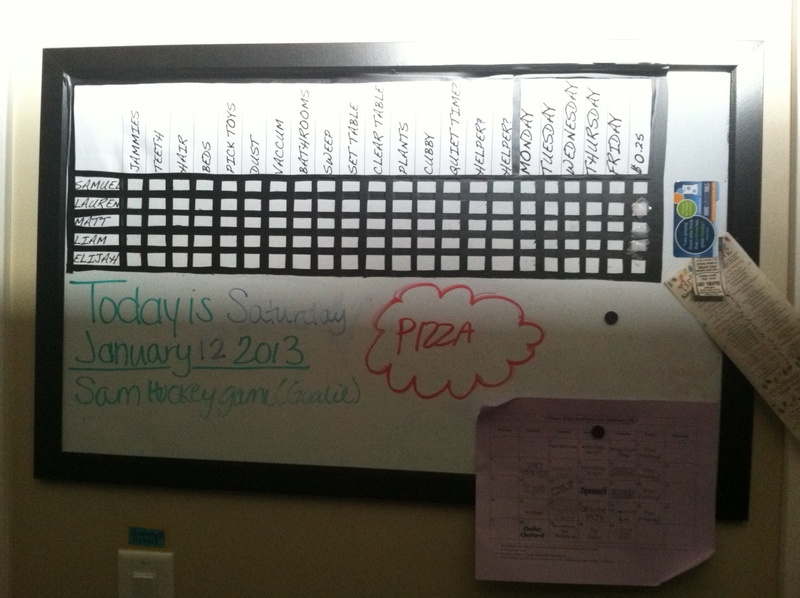 The older kids boards have their school lunch calendar, homework reminders, invitations for parties, etc. At times these have been a life-saver for my sanity. 5. Laundry: Doing laundry for 7 people can be overwhelming but thanks to the layout of our house the laundry room is on the second level s o it’s much easier to keep up with it. The kids helped me label baskets (Found on clearance at Lowe’s) so even if they can’t read, they know that the one with the picture of the light-bulb on it is ‘lights’ and so on so they help out by sorting their own laundry. Being the room is so close they frequently help me switch loads when I ask them. The biggest challenge is putting it all away. I have a nice long counter in the laundry room which is lined with bins (again-one for each child) and an equally long rod for hanging their clothes on. 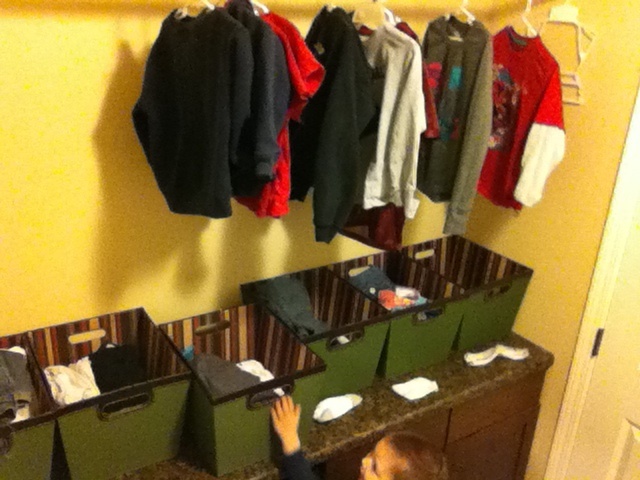 Once a week (or when the bins are full) the kids are each given their bins and clothes and we put them away together. I am working hard on getting the older ones trained to put theirs away without just stuffing it in their drawers all willy-nilly.